Super place located in the ''Burg''. 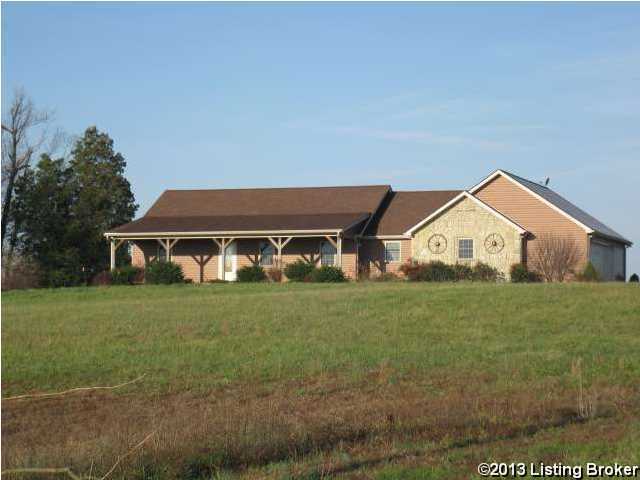 Home built in Western style with arched doorways, open floor plan, hardwood and great kitchen.Overlook the lake from living room, or the woods from the walkout basement, fenced pasture with stock pond all lend to the wonderful feel thisproperty has. This kitchen is equipped with a six burner gas stove like none you have ever seen. Kitchen bar overlooking dining area gives it awarm feeling. 1251 Burg Hill Ln, Springfield KY 40069 is a Home, with 3 bedrooms which is recently sold, it has 1,940 sqft, 0 sized lot, and 2 Car Garage,Attached parking. A comparable Home, has 5 bedrooms and 2.5 baths, it was built in and is located at 413 Perryville Rd Springfield KY 40069 and for sale by its owner at $ 199,900. This home is located in the city of Springfield , in zip code 40069, this Washington County Home, it is in the NONE Subdivision, and WALNUT RIDGE are nearby neighborhoods.